At Racing Green Cars, we offer servicing, upgrades and sales for both TVRs and Jaguars. 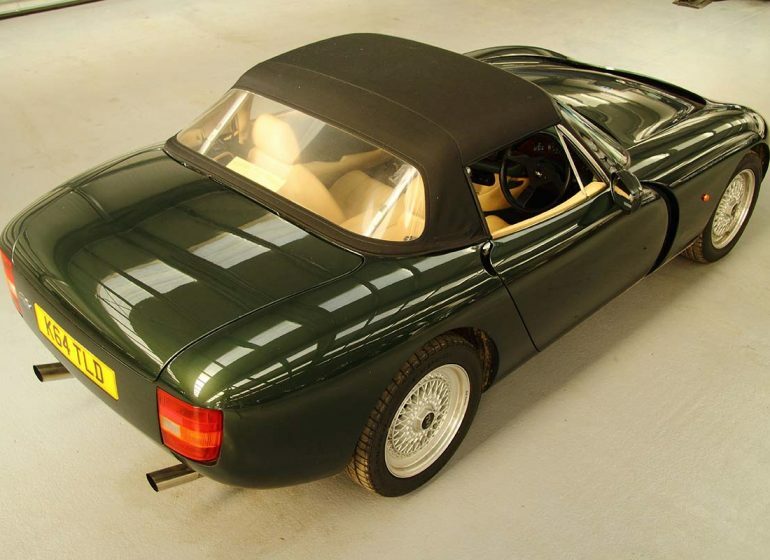 At Racing Green Cars, we are dedicated to the support and enjoyment of Jaguar and TVR cars, both modern and classic. We are ourselves a team of enthusiasts, with many years' experience of servicing and upgrading performance cars, as well as preparation for racing, including major events such as the Goodwood Revival and Le Mans Classic. If your pride and joy needs a service, a refresh, or maybe some extra horses, please come and talk to us - we will be happy to help. If you are still thinking about becoming an owner, please also come and talk to us. 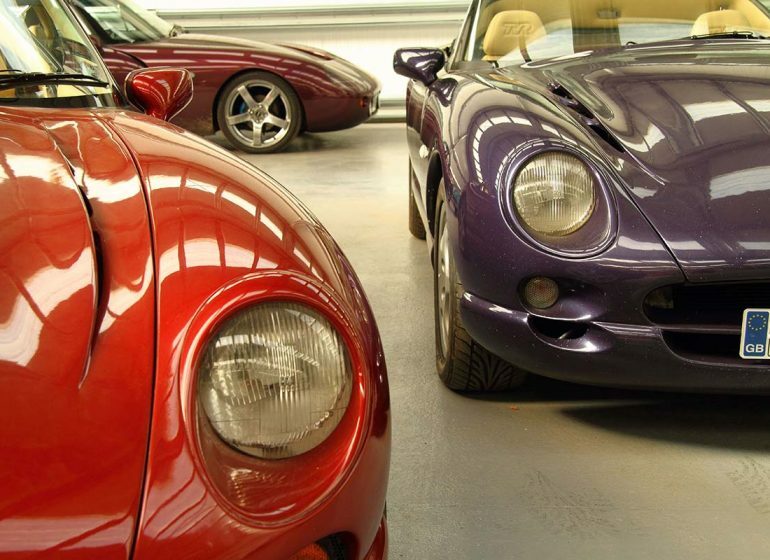 We always carry a stock of carefully selected TVR and Jaguar cars for sale, and if we don't have whar you are looking for we will be happy to help you find it. For TVR sales, servicing, repair, bodywork and even driver-tuition, we offer the most enthusiastic and comprehensive service available. We are TVR people through and through – genuine enthusiasts who will treat your car as their own. Engineers you can talk to, not just people who plug into diagnostic equipment. Whether it is the TVR Griffith, Chimaera, Tamora, Cerbera,Tuscan, T350, Sagaris or Typhon, you'll find them all at Racing Green TVR, as well as a massive amount of knowledge which we're happy to share.